Finding one concealer that's a one stop shop is almost impossible for me. I need great coverage, a light-weight feel under my eyes, and great lasting power to withstand my oily skin. The Bareminerals Correcting Concealer can be used anywhere on your face that needs concealing or correcting. It's fabulous for those multi-tasking mornings! While I'm already a huge fan of the Bareminerals Matte Foundation, eyeshadows, and palettes in general, I had never experimented with their concealers before. I don't usually go for creamy formulas you have to dip your finger into for sanitary reasons, but after reading so many rave reviews, I had to try this one. The formula feels incredibly creamy and spreads effortlessly on the skin. While it's very smooth and blendable, it doesn't feel greasy to the touch or tacky once it dries. It has a very natural finish that just melts into the skin. I have this concealer in the shade Light 2 which is suitable for light neutral or warm toned complexions. It conceals and corrects under my eyes without looking too bright or unnatural. So much so, that if I only put this concealer under my eyes, I could set with powder and be done! I prefer to highlight with powders as opposed to using concealer that's much too light under my eyes. I find it to be more flattering and natural looking. This formula is not only fabulous for under the eyes, as it conceals without creasing, but it also works well for spot concealing. Just the slightest touch into the product picks up more than enough to conceal any problem areas without looking too heavy. I like using this concealer with my light-weight foundations so I don't have to rely on full-coverage foundation to keep my skin looking great. That will come in handy especially as we head into spring and we go for more light-weight, natural looks. 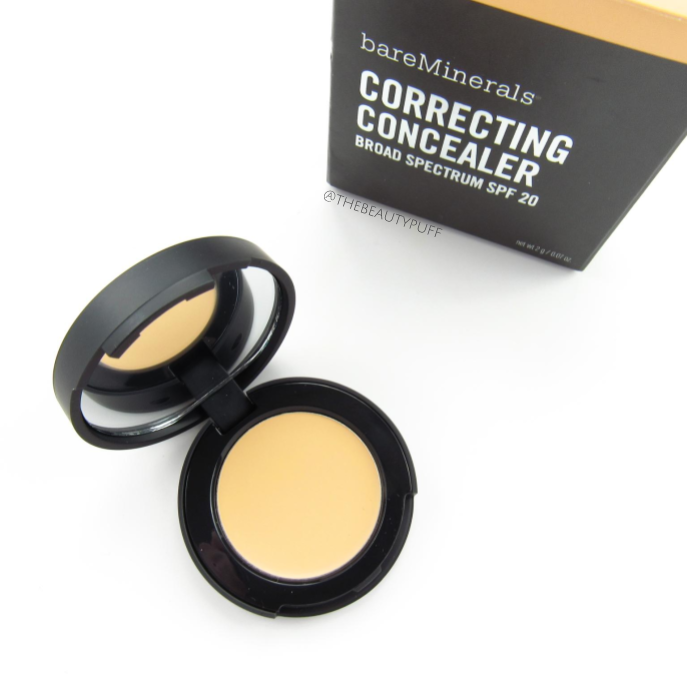 You can find the Bareminerals Correcting Concealer, along with more Bareminerals products, on the Notino website below!